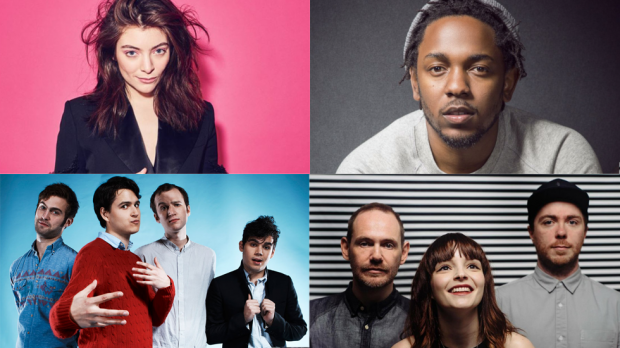 Lorde is set to headline the Friday night slot, with Khalid, Miguel, Angus and Julia Stone, Dune Rats & Friends, DMA’s, Henry Rollins, SAFIA, DZ Deathrays, Cub Sport, Stella Donnelly, Bully, Baker Boy and many more rounding out Day One. Headlining Saturday will be Vampire Weekend with Hilltop Hoods, CHVRCHES, Gang of Youths, Franz Ferdinand, The Jungle Giants, Methyl Ethel, Alex Lahey, Superorganism, Alex the Astronaut and The Babe Rainbow among others playing throughout the day. Hottest 100 winner Kendrick Lamar will be headlining Day Three with The Wombats, MGMT, Ben Howard, PNAU, Ball Park Music, Middle Kids, Hockey Dad, Sampha The Great, Albert Hammond Jr, Soccer Mummy, Ziggy Ramo and plenty more helping punters to party on Sunday. Keep an eye out for any sideshows announced from the huge Splendour in the Grass lineup – we will be. Splendour in the Grass 2018 is at North Byron Parklands from Friday, July 20 until Sunday, July 22.